Clickable rotary encoders as buttons? 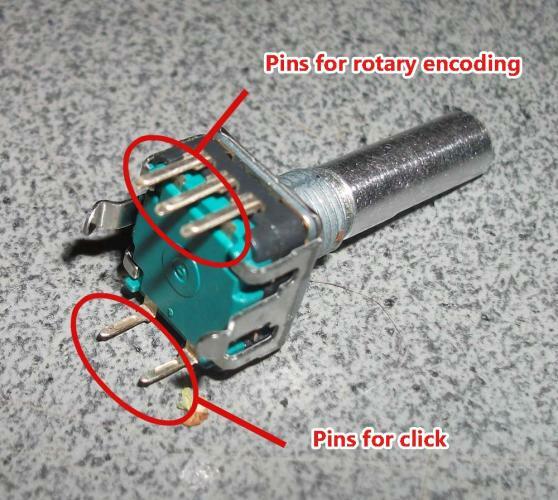 I found back 20 clickable detended rotary encoders, wich have 3 pins on bottom for the 'spin' and 2 pins on top for the click (bourns branded if i remember well). My question is the following : with a 1n48 diode security, could i handle the click (SPST) of my rotary encoder as a button on a DIN module? No problem to use the switch as an input for a DIN. 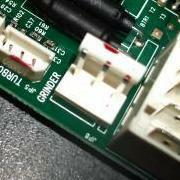 Just connect one side to ground and the other to the appropriate pin on the module. 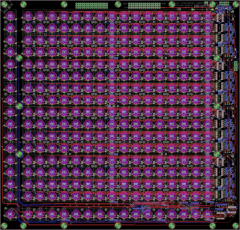 There's no need for diodes unless you're configuring a switch matrix. They're very useful and cost 1 cent for 1000 :). If you ever go for the full SEQ BLM that's 1/3rd gone!